The concept behind BYOD seems really good–employees bring their personal devices to work and use them to accomplish company projects. Initially, BYOD was well received, but after realizing the security risks, more companies are opting out of it. 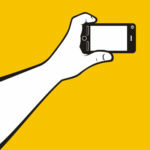 Is there another way to use mobile devices at work without all the hassle and risks of BYOD? 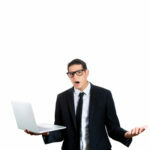 According to CompTIA’s spring survey of 400 IT and business executives, 51 percent of respondents do not BYOD at all. Figures like this contradict the message of BYOD proponents, who claim that the use of personal devices at work was going to change the workplace forever. However, businesses aren’t giving up on mobile devices, due in part to all the benefits they bring to the table. Instead, we’re seeing companies take a different approach to mobile device use with CYOD (Choose Your Own Device). In a CYOD work environment, employers provide company-owned mobile devices to their employees. Initially this approach will cost you a little extra money, but it will save you more in the long run by preventing costly security breaches. Additionally, there are measures you can take to personalize company devices for the employees. Let the employee choose the device model that they’ll be using, and give them app store credits to purchase personal apps (provided that they’re first cleared by your IT management team). Personalized measures like this will give employees an attachment to the company-issued device while giving your organization complete control of how the device is used. 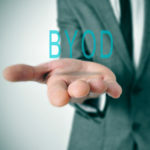 This addresses one of the trickiest issues concerning BYOD, which is how to go about deleting company data on a personal device. When an employee is let go, certain company applications and files will have to be removed. If you attempt to remove company data from a personal device, and happen to delete their personal data or view sensitive information, then your business will be liable. This could lead to a messy legal battle that nobody wants. When the device is owned by the company, you can completely wipe the data off the device without consequence. Of course, you will want to notify the employee of this before giving them the device so that they’ll be sure to backup any personal photos or files. Malicious apps published by hackers. Mobile attacks over SMS messages. Additionally, Marble Security Labs analyzed 1.2 million iOS and Android apps and concluded that business data is inadequately protected by consumer apps on BYODs. 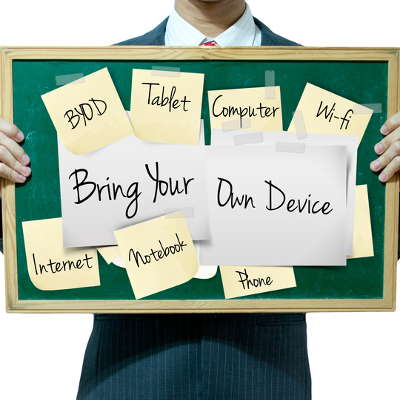 When it comes down to it, BYOD isn’t an unfeasible idea. 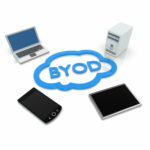 In fact, the benefits of BYOD may be worth the extra security precautions required to implement it. Alternatively, if you want to enjoy the benefits of BYOD, like increased employee satisfaction, productivity, and mobility, then implementing a CYOD policy may be a better way to go. To get personalized consulting to understand what is the best mobile device policy for your business, call Quikteks today at (973) 882-4644.